I was 21 years old when Bobby Fischer emerged from hiding. Old enough to be transfixed by it. Against the chaotic backdrop of Yugoslavia's evaporation, the barbaric warfare and ethnic cleansing it entailed, Fischer held a press conference in Sveti Stefan. In 1992 the Balkans was a warzone on the European Union frontier, with the locals going medieval and the Super Powers picking sides. The first international crisis of the post-Soviet era, it's not an exaggeration to describe it as an outright calamity. And in the middle of it all, an American world chess champion no-one had seen for twenty years held an astonishing press conference announcing his intention to replay the 1972 World Championship against the Russian Boris Spassky. A chess match ought to have been a sideshow to the broader geopolitical context, yet in the post-Cold War era a match between American and Russian world champions in the powder-keg of the Balkans took on a greater significance. "The Return of the King." 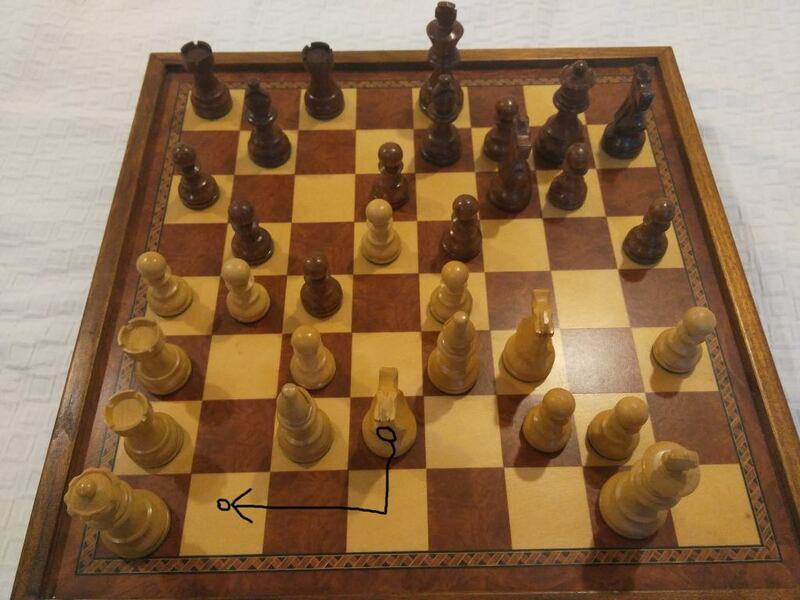 This photograph of my board is the position after 28 moves by each player. Unusually, no captures have occurred: all of the pieces remain on the board. 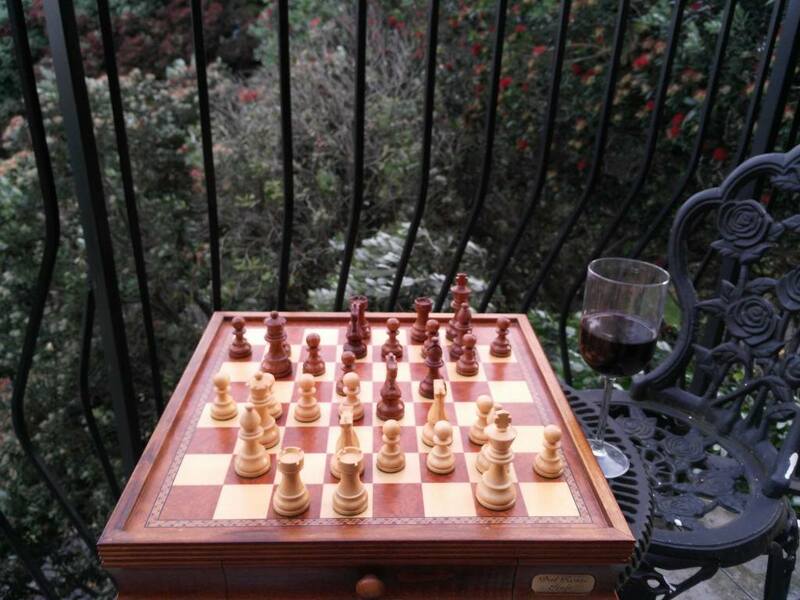 Fischer and Spassky have both completed their openings and are itching to get it on. It's Fischer's turn, and I've indicated what his move will be in black marker. He wins 21 moves later. I defy anyone to look at this position and make that move. You see, Fischer deliberately weakened his position. With all the pieces in play he appraised his position so superior he could perform the weakest move possible, inviting Spassky to do his worst, and win.